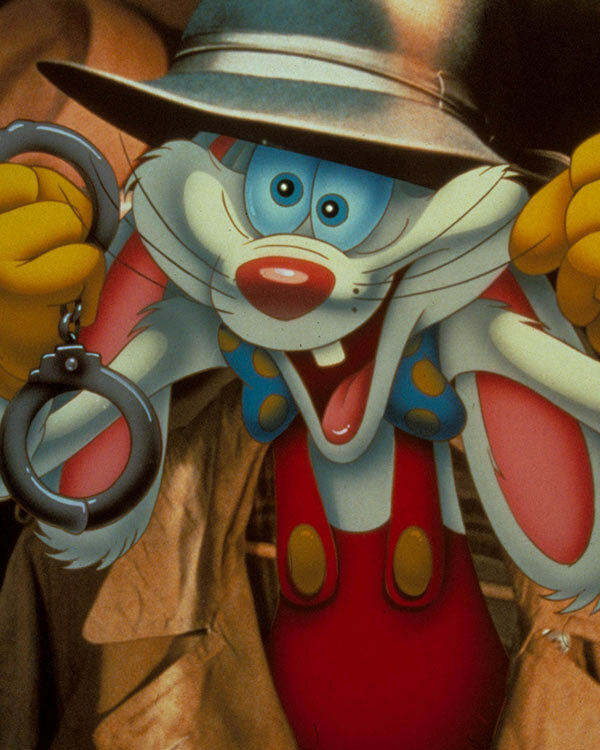 Roger Rabbit’s creator sued Walt Disney Co., claiming the studio has been cheating him out of revenue from the hit movie and hare-related merchandise. 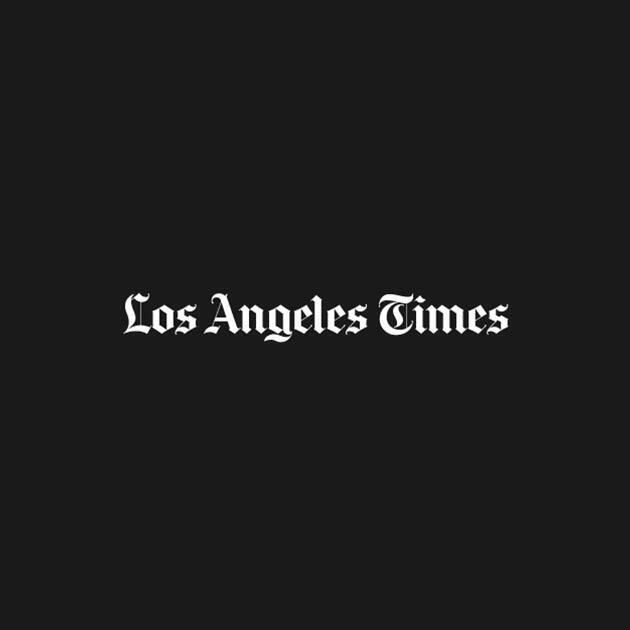 According to a lawsuit filed Friday in Los Angeles Superior Court by Gary K. Wolf, who wrote the book “Who Censored Roger Rabbit?,” Disney has foiled attempts by the Massachusetts author to learn exactly how much money the 1988 film “Who Framed Roger Rabbit” has made. Where is Eddie Valiant when you need him most? Gary Wolf, the author of the book Who Censored Roger Rabbit, initiated a lawsuit in May 2001, after concluding that several audits of Disney’s financial records had disclosed unreported and underreported revenue streams in relation to the merchandising of the Roger Rabbit characters. In the complaint, Wolf asserted causes of action for breach of contract, breach of fiduciary duty and breach of the implied covenant of good faith and fair dealing and sought declaratory relief and an accounting. 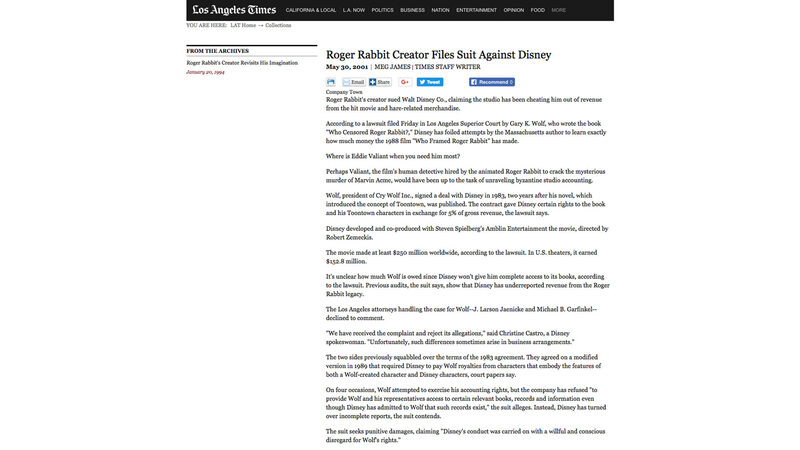 Specifically, Wolf alleged Disney had failed to report or underreported as part of its gross receipts the value in promotional benefits it had received from various agreements with third parties that exploit the Roger Rabbit characters, as well as its sales of the characters’ merchandise and sales of record, tape or compact discs connected with the characters. Wolf ultimately prevailed in his lawsuit, receiving about $658,000 in damages in 2008.